Welcome to your one-way ticket to the future of sustainable air travel. Envision-awarded airports around the country are looking to the future to save you time and money. 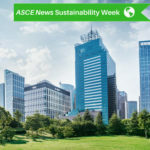 The Institute for Sustainable Infrastructure – an organization cofounded by ASCE in 2011 – developed the Envision rating system to measure sustainable infrastructure projects. 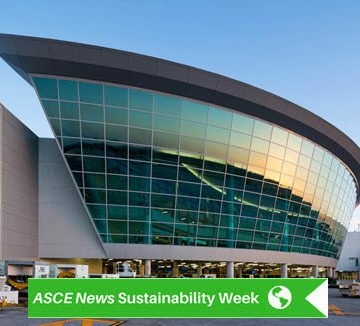 The Water Source Geothermal project, implemented at the Nashville (TN) International Airport, earned an Envision Silver award for its closed-loop system that solves the cooling requirements of the airport’s terminal building. 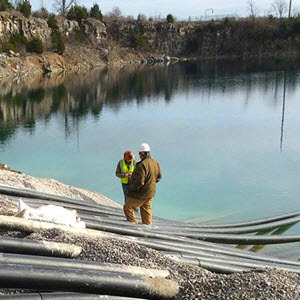 The project uses a quarry lake to chill water through lake-plate heat exchangers. Through this system, the airport saves more than 21.1 million gallons of potable water used in the airport’s cooling towers and expects more than $430,000 in electricity cost savings. Also, by harvesting the rainwater that collects in the quarry and pumping it into the irrigation system, the project saves more than 13.1 million additional gallons of potable water used for irrigation. 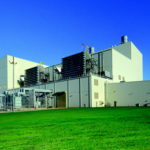 The Water Source Geothermal project will significantly reduce the airport’s dependency on its natural-gas fired boilers, which use on average 39,700 therms of natural gas per month. Emissions associated with the use of these boilers is significant, but the Water Source Geothermal project will reduce emissions of carbon monoxide, nitrogen oxide, particulate matter of both 10 and 2.5 micrometers or less in diameter, sulfur dioxide, and volatile organic compounds – all of which contribute to poor air quality. The Providence’s Runway 5 Extension at T.F. Green Airport project, an Envision Gold winner, lengthened the T.F. Green’s main runway to 8,700 feet as part of a multiyear program to better accommodate aviation activity demand and enhance safety areas. The extension improves flight efficiency through increased payloads and reduced weight penalties, while also accommodating long-haul service to the West Coast. 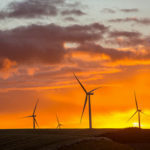 The project requires 34 percent less energy, resulting from design plans focused on resource conservation and reduced maintenance as key objectives. The project also features extensive LED lighting, and the design team evaluated lighting cables to determine that replacements could avoid disruption in aircraft activities. The reduction in required pavement for the project also helped better manage stormwater. 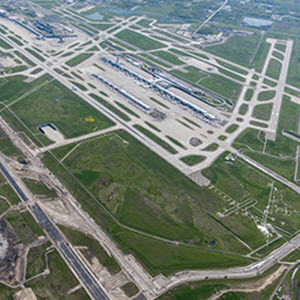 The Detroit Metropolitan Airport’s Runway and Associated Taxiways Reconstruction project, an Envision Silver winner, involves reconstructing an associated taxiway system that encompasses 6.5 miles of airfield pavement. 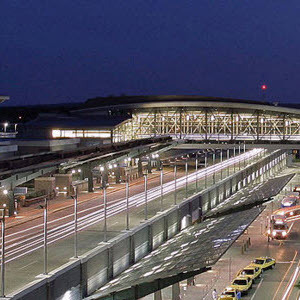 The result is a safer connection for aircraft from the runway to the passenger terminals at the Detroit Metro Airport. To reduce resource consumption, the project installed LED lighting and signage, reused stormwater for dust control (10 million-plus gallons of recycled water to date), and reused excavated materials, both on the project and in locations west of the runway, to balance the site and minimize maintenance needs. In addition, the contractor brought a concrete crusher on site to enable efficient pulverizing of materials for use on other projects. The Runway and Taxiways Reconstruction project went beyond compliance with environmental regulations during construction by reducing existing impervious surfaces at the site, thus presenting long-term benefits to the ecological conditions on the airport. By minimizing the amount of pavement, stormwater runoff and the associated water quality impacts will decrease. 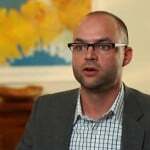 This also minimizes future maintenance costs and the need for virgin materials. 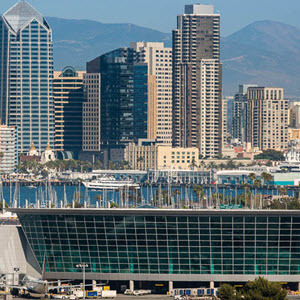 The San Diego International Airport’s Green Build landside project became the first airport to earn an Envision rating. The Platinum award winner responds to community needs that provide for current and future demand for travel, while increasing customer service and serving as an economic stimulus for the San Diego region. The project increases the quality of existing, operating, and recreational capacity for the public, while improving customer experience by providing 10 new aircraft gates, a dual-level roadway that separates arriving and departing passengers, more security lanes, and an expanded concession area. At peak construction, the project created approximately 1,000 jobs, and with total economic impacts to include an estimated nearly 5,000 jobs over the course of the project. The Airport Authority’s small-business outreach program generated more than $415 million in contracts for local businesses – with $118 million going to small businesses – which in turn boosted local employment, training, and education, particularly among needy or disadvantaged groups. Read more about all of the Envision award winners.